In my last blog post I told y’all that I had signed up for a Block of the Month (BOM) with Lone Star Quilt Works in Bryan, Texas. The pattern is Getting to Know Hue by Nancy Rink and my first month for January was Getting to Know Blue. The blocks for the first month are the four corner blocks. This pattern is fun, it’s challenging, and it satisfies my short attention span for doing lots of different things in a block. 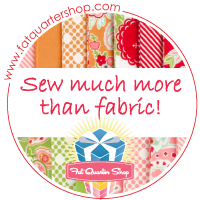 It’s not for the faint of heart or a beginner quilter – well not for me when I was a beginner quilter. I simply couldn’t have done this 5 years ago. My friend LeeAnn and I did a road trip earlier this month for the Taste of Texas Shop Hop. We hit four different quilt shops in Halletsville, Victoria, Port LaVaca, and El Campo. There was a fifth shop we should have gone to but it was in Richmond over by Houston and everyone said the traffic was awful because of construction and it was Superbowl weekend (in Houston) so LeeAnn and I decided we really didn’t want to go to that shop that bad. While we were at the Quilter’s Patch in Victoria (GREAT SHOP!) they had a Getting to Know Hue BOM poster on the wall and I remarked to the sales lady that I was doing that BOM. Then she said, “There was a lady just in here who has it all finished. I think she’s out in the parking lot.” (An over-achiever in my book – those folks who buy the entire kit-and-caboodle up front and then spend the next few weeks ignoring the world around them hold up at the sewing machine). The lady’s friend was still in the store and she says, “Do you want me to go get her to show it to you?” Um..YES!!! So out she goes and drags this poor woman back in with a huge quilt top bundle under her arm. OMG. I had no idea how big this thing really is! And it’s absolutely gorgeous in person. The photos don’t do it justice. I told her I was making it too and she gave me some great tips that she learned from experience. I just love quilt shops and quilters for this very reason. That shop had a 50’s themed room in the back and Elvis was there so LeeAnn and I had to get our picture made with him…of course. She and I were besties in junior high. My first 4 blocks are complete! Have you done a BOM? Did you finish it? Please link up pics! I’d love to see!